The best summertime salmon salad with granita ice. Summertime is here! 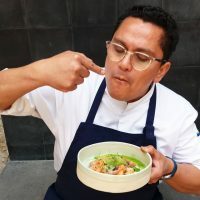 Reason enought to team up with Barcelona based Argentinian chef Pablo Muñoz to create a video recipe of a Smoked Salmon salad with Lemon Basil granita and Peashoots, both grown in the InstaGreen urban farm in Barcelona. Cut the salmon filet, sashimi style and put on a plate. Cover the plate with the smoker. Add the wood chips, light them on fire and fill the cover with smoke. Add the lemon basil, the honey and the cup of water to the blender. Add the crushed ice. Blend again until you you have a even, smooth granita. Add peashoots to the plate and distribute the smoked salmon sashimi over it. Scoop the lemon basil granita with a luke-warm spoon and add on top. Decorate with peashoot and the black salt flakes. Enjoy the applause you’ll get from your guests ! Pablo is an Argentinian private chef and culinary advisor, living in Barcelona. He makes tasty food that simply makes you happy. 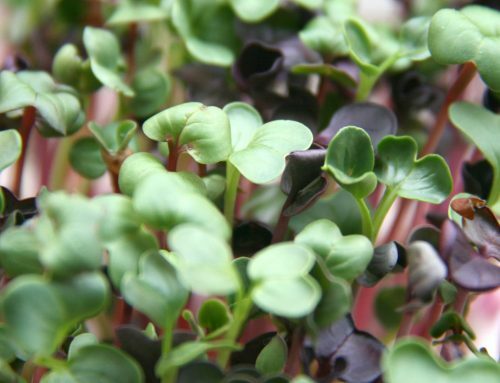 Everything you want to know about microgreens! We love plants. Not cookies.